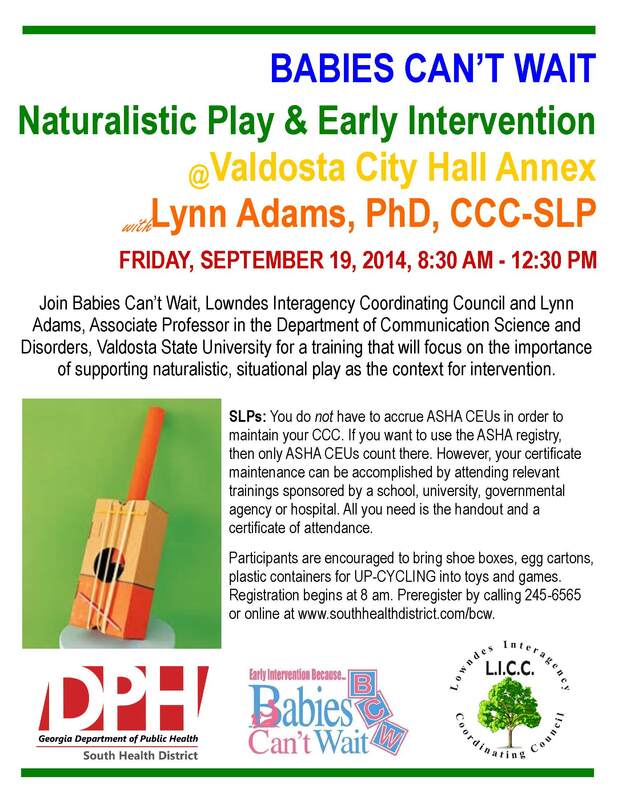 Babies Can’t Wait and the Lowndes Interagency Coordinating Council will host a workshop on Naturalistic Play and Early Intervention on Friday, September 19 from 8:30 to 12:30. Participants are encouraged to preregister by filling out the registration form and returning to Jessie Judkins by September 12 via email (Jessie.Judkins@dph.ga.gov) or fax (229-245-6561). 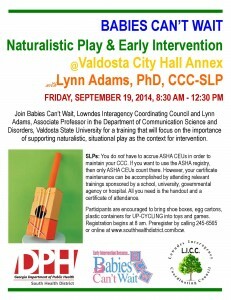 For more information call Babies Can’t Wait at 245-6565. Valdosta City Hall Annex is located at 300 North Lee Street, Valdosta 31601 next to City Hall.